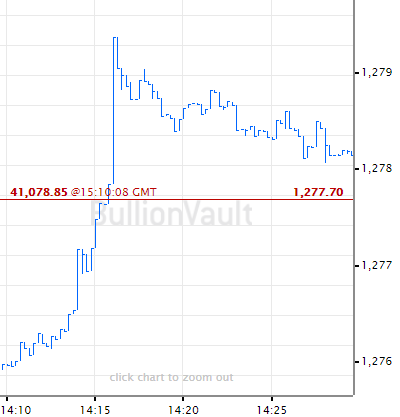 GOLD PRICES for Euro, UK and Japanese investors fell back near unchanged for 2018 so far on Tuesday and silver fell to a small loss for the New Year as world stock markets pushed up to fresh record highs. Industrial commodities fell but major government bond prices rallied from their sell-off, pulling the yield offered to new buyers down from the recent multi-month highs. Dollar gold prices trimmed the New Year's gain to 2.6%, bouncing $5 per ounce from a drop beneath $1333 per ounce, some $10 below Monday's fresh 4-month high. Platinum retreated $15 from its 4-month high at $1001, and silver lagged the other precious metals again, falling as much as 2.6% from yesterday's high to drop below $17.00 before rallying to $17.09 per ounce. The silver price in Euro terms fell below €14 per ounce to trade almost 1.0% lower for 2018 to date. "Considering silver's underperformance, its traditionally higher volatility and historic relative strength during periods when investors are building gold exposure, the white metal is on track to outperform," says a new 2018 outlook from Bart Melek at Canadian brokerage TD Securities. Winner of the 2017 LBMA competition for gold price forecasts, "Tightening fundamentals owing to lackluster mining output and strengthening global industrial activity are additional positives," says Melek. That's "in addition to macroeconomic and monetary policy, prompting silver to move higher this year," he believes. 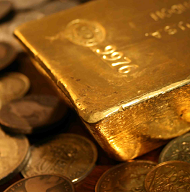 Averaging 63.8 over the last 10 years, the Gold/Silver Ratio – a simple measure of the two formerly monetary metals relative pricing – stood at 78.1 on Tuesday. 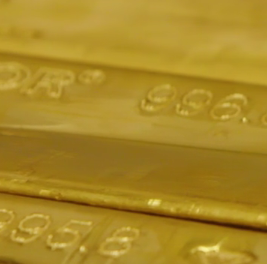 That prices gold more than 41% above its 50-year average to silver, with the ratio averaging 55.2 since April 1968, when London's benchmark price moved to quoting in US Dollars. Melek's outlook forecasts average gold prices at $1313 with silver at $18.88 in 2018. 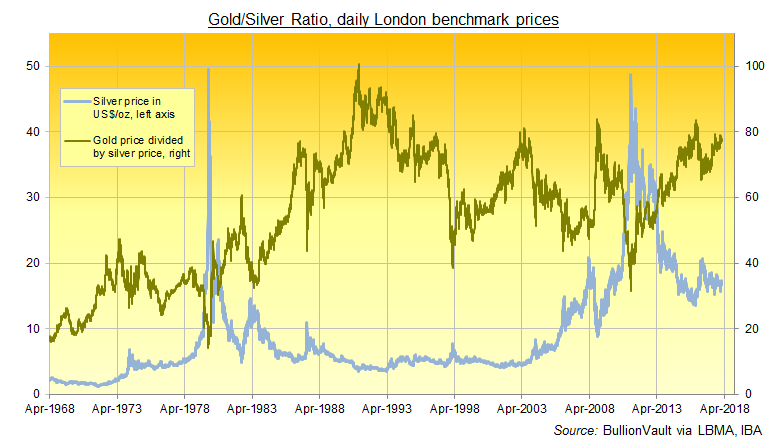 That would put the Gold/Silver Ratio just below 70. Latest data from US regulator the CFTC say that hedge funds and other money managers grew their bullish betting on Comex silver contracts, net of bearish bets, near a 2-month high last week. Coming into New Year 2018, that Managed Money category of speculators had turned net negative on silver futures and options for the first time since July, and the 10th time since the price crash of Spring 2013. Managed Money betting on Comex gold futures and options, in contrast, has been bearish overall only twice since current data began in 2006, first in August 2015 and then in December of that year, coinciding with the Dollar gold price's low at $1045 per ounce. "We maintain a bullish view on gold for early-2018," says Melek, "given that investors seem ready to take larger and larger long gold positions, even as equity markets are surging and nominal rates rise." While silver bullion prices rose 2.7% from New Year's Eve to Monday's peak, the largest silver-backed trust fund vehicle – the iShares SLV product – in contrast shrank by 1.3%, with investor interest reducing the quantity of bullion needed to back its shares near the smallest level since March 2016 at 9,840 tonnes.